Great service. Great people. Went in there and got great service from everyone and got the deal done just the way we wanted. Definitely recommend it. Super happy! I followed Jason Dunn from Nissan in Roswell. He is essentially our family car salesman, and I recommend him wherever he goes. 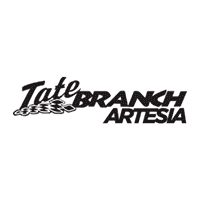 I truly feel he has our best interest at heart .When it comes to Tate Branch, I am all over this Lifetime Power Train Warranty. I have chosen a vehicle I wish to stick with and pay off, so it feels good to be in hands that will still honor business with me even after I am paid off. Thank you so much!! The folks at Tate Branch were very friendly. Camilo did an awesome job in helping me trade in my old vehicle and getting me into a newer one. He made sure I had payments I was comfortable with and continued to help me with any questions I had after my purchase. The overall shopping / purchasing experience was great! Emmanuel Morales, Service Advisor, receives 5 stars for the service he provided to me. He ordered the needed part, set the appointment insuring it would be delivered and promptly got it installed. He even remembered my name after several days of meeting. Tate Branch is the place to go.